village swarm and bellow against the night. (Originally published in NonBinary Review and featured on Extract(s). Ruth Foley lives with her husband and two retired racing greyhounds in Massachusetts, where she teaches English for Wheaton College. Her work appears in numerous web and print journals, including Antiphon, The Bellingham Review, The Louisville Review, and Sou’wester. Her poems have been included in the Best Indie Lit New England anthology and nominated for Best New Poets, Best of the Net, and the Pushcart, and she is the recipient of a finalist grant from the Massachusetts Cultural Council. She teaches poetry workshops in various locations around New England. When she’s not writing or teaching, you can sometimes find her elbow-deep in a bee hive or neck deep in the water. Her first chapbook, Dear Turquoise, is available from Dancing Girl Press. She serves as Managing Editor for Cider Press Review and blogs at Five Things. Ruth Foley and I are in a number of online poetry groups together, which is how I came to learn about Creature Feature, her wonderful chapbook of epistolary poems. As poet Les Kay writes on the publisher's website, "These are love letters that help us love ourselves—no matter how monstrous we mistake ourselves for being." I'm delighted to have had the opportunity to interview Ruth about her chapbook and her writing process. NCL: Please tell us a little bit about your chapbook Creature Feature. 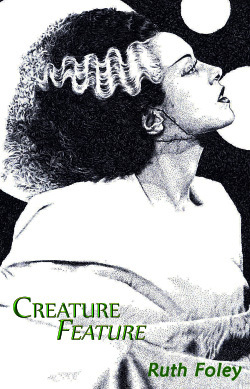 RF: Creature Feature is a collection of epistolary poems, letters written to the various actors and characters (and one director) of the early black and white Universal monster movies. The films range from The Phantom of the Opera with Lon Chaney (1925) to The Creature from the Black Lagoon (1954), but is focused on what I think of as the big three: Frankenstein, The Bride of Frankenstein, and The Wolf Man. I became obsessed for a time with the archetypes—the mad scientist, the specific visions of some of the monsters, the villagers—developed in those films, and with the actors who helped create them. This is, in some ways, the most complicated of my series, because it's most at risk for misinterpretation. RF: I have loved those movies since I was a kid in the days before cable. A local UHF station played a double feature of horror movies on Saturday afternoons—B movies from the 50s and 60s, the Hammer horror movies with Christopher Lee and Peter Cushing, Japanese monster movies like Godzilla, that sort of thing. They also played all of the Universal monster movies, and while I learned later that it was because they were shopped around as a package deal, so they were really cheap, I didn’t know that then. As a kid, I was taken in by the otherworldliness of them, how completely we were asked to believe in the outlandish. I came back to them as an adult by way of an Ursula K. LeGuin essay, “Myth and Archetype in Science Fiction,” in which she says, among many other wise and wonderful things, that Frankenstein’s monster walked his way into our collective unconscious and refuses to leave. I thought about that a lot, about the way that you can walk into any store around Halloween and what you see isn’t just Frankenstein’s monster, it’s the monster that Boris Karloff created. Other versions didn’t sink in the way his did. And every vampire since Bela Lugosi played Dracula reacts to or against his version—everything from Count von Count on Sesame Street to Count Chocula cereal to the vampires of Buffy the Vampire Slayer or Twilight or anywhere else you find them. They are all aware of Lugosi’s Dracula, and all the creators of the vampires since have to make decisions with that character in mind. That’s the power of archetype—when Boris Karloff first enters the room in that first Frankenstein and the camera holds on him, switches to a different angle of his face, holds again...they’re creating that archetype right there on the screen, and you can watch it happening. That realization was very powerful for me. Even the fact that the Frankenstein’s monster you see in your local grocery store is green comes back to that film—Karloff’s makeup was green so that it would read as corpse-like on the screen in black and white. That blows my mind because it’s a fact from reality that doesn’t appear on the screen and still made it into our idea about what the monster is. How many people knew Karloff’s face was green? A couple of hundred? And how many people think of that green now when they think of that monster? All of us. The “risk for interpretation” I was talking about with Lisa Romeo was that these poems would be dismissed as “monster poems” or as basic treatments of popular culture. And they do stand as those, and I’m fine with that. But it was important to me that the poems be about more than the monsters or the movies, that they maybe serve to highlight a little bit what the films were trying to do: talk about where the monsters really lie (inside and outside of us), about how we recognize and fear the ugliness in ourselves, about how to find beauty there. That might be how I came to include the actors, too—I began researching the films to get insight into the characters in the hopes of discovering a bit of why these particular interpretations of the stories resonate with us so deeply, and in the process, I learned quite a bit about the actors themselves, and one of the major directors of the genre, James Whale. Whale’s story is covered in part in the 1998 movie Gods and Monsters, and with sympathy and empathy (and a dose of fiction, of course), but if you go into, say, The Bride of Frankenstein or The Invisible Man knowing that Whale was gay and was telling stories of outsiders and of hiding and of fitting in, it adds yet another layer to the films. I wanted to capture a bit of that, too, that masking and mystery-making, because every human being I have ever met participates in that as well in some way. 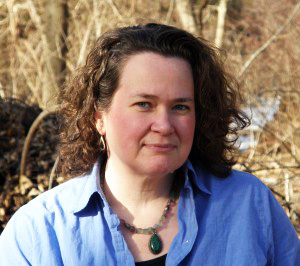 NCL: In a 2011 essay “Thinking Like an Editor: How to Order Your Poetry Manuscript,” April Ossmann writes “[T]he biggest mystery to emerging and sometimes even established poets is how to effectively order a poetry manuscript.” How did you order Creature Feature? Was it something you had in mind early in the writing process, for example or did you write the poems with a strategy in mind? What were some of your considerations? RF: I might be breaking the Poet Code when I admit I had zero strategies when it came to writing these poems. I wasn’t even sure what I was doing—I didn’t know it was going to become a series. I wrote “Dear Bela” first, for Bela Lugosi, who had such a tragic life in a lot of ways because of addiction. If you had asked me at the time, I probably would have told you that I’d write a poem for Bela Lugosi and one for Boris Karloff, and then maybe be done with it. I started watching the movies, though—it was September and Netflix was streaming a lot of them because Halloween was coming up in a couple of months. I watched the precursors to those movies, too, the silent films like Nosferatu and The Cabinet of Dr. Caligari and Dr. Jekyll and Mr. Hyde, where I could see the roots of the films I found so captivating. Once that happened, I was lost—the series just sucked me in and I wrote drafts like a fiend, sometimes one or two new poems a day. It took a long time for me to revise, but that came later. In the beginning, I was just trying to make sure I didn’t miss anyone. When it came to arranging, though, I had something of a strategy. It was a balance between letting the poems echo in and off each other without any group of them getting so heavy with a certain theme that they landed with a thud. Some of the poems—one for Lon Chaney, Jr. as himself (as opposed to in character), for example—didn’t make it into the chapbook. Those poems hit the same themes too hard or didn’t seem to discuss their issues as well as I would have liked. “Dear Lon Chaney, Jr.” does plenty of things on its own, but also covers much of the same territory as the poems for the two halves of the Wolf Man, so I relegated him to the cutting room floor. As it were. Another consideration was the weight of the films, how many poems I had written for each one. The Frankenstein movies in particular take up a lot of space—Boris Karloff, the creature (which I had to call “monster” in the series to avoid confusion with The Creature from the Black Lagoon), Doctor Frankenstein, Maria (the little girl who drowns)...the list goes on and on. When I teamed those up with the poems to the villagers and the ingénue and Dwight Frye, who plays the Igor-type character under different names in various films, it all just felt like too much, especially since there are movies in the chapbook which only have one poem. I decided to move thematically in some ways, but in others, I was aware that some of the characters in the poems needed to have some grounding—the gypsy woman in The Wolf Man, for example, is better served by having her poem placed in a context where it’s clear that’s the film to which she belongs. NCL: In a recent interview of you by Linda Sienkiewicz, you said “Poems are where I explore and understand and interrogate.” What are you exploring and interrogating in Creature Feature? RF: Well, the archetypes, certainly, and the way they resonate with me and, I think, with a lot of us if we allow them to. The human beings in these movies do not come across well—the good people are flat, as if their goodness is all that matters (and in terms of moving the plot, I suppose that’s the case). At the same time, most of the “evil” people are simply misguided—obsessed with knowledge or consumed by the belief that they are above needing to face the consequences for their actions because their motives are pure. And then the monsters are the most human of us all. They’re misunderstood, their otherness is seen as ugliness instead of beauty, they’re punished for their aberrations. Well, except for Dracula. Dracula is a jerk. But I love him anyway. And he, unlike the scientists for example, didn’t ask for what he became. NCL: What is one of the more crucial poems in the book for you? Why is it important to you? How did it come to be? RF: Oh wow. I think if you asked me this question every day for a month, I’d rotate through all the poems with my answers, based on what’s happening that day. All the female-centered poems are important to me, and “Dear Maria,” which you link to, is certainly right up there in terms of me coming to grips with myself as a feminist and poet, and as the key to seeing where the monsters really are. The Bride is on the cover for a reason, and I became more and more aware as I was writing of how very un-represented women are in these films. But what resonates with me right now is “Dear Larry Talbot,” because of the work I’m currently doing and discuss in another question below, but also because of how it ties a bunch of the themes together. I’m supposed to root for Larry Talbot, but instead I root for the wolf because at least I know what I’m getting into there. Talbot is supposed to be the safe one, the solid one, the man who doesn’t want to become the wolf. Yet he ruthlessly pursues a woman he is interested in. He looks in her bedroom window with a telescope and then uses the information he discovers as a pick-up line and it WORKS. She turns him down for a date (she is already involved with another man) and he responds by telling her what time he’ll come by for her. He doesn’t take no for an answer, and this is supposed to be appealing. Really, though, it’s just creepy. He is supposed to inhabit Love—capital “L” intended—but he represents himself with force instead. It might have played okay in 1941, and I certainly didn’t notice it when I was a kid, but it sits badly with me now, and adds to the horror factor for me. At the same time, it weaves right into my thoughts on power, love, romance, and the ways in which we are beautiful, ugly, and misunderstood. holds her scent, begs you to unmake her. NCL: Please discuss the choice for a chapbook. For example, why did you choose the chapbook as the vehicle for your poems rather than a book-length manuscript or a section in a book? When you started, did you intend to create a chapbook? How long did it take to write this chapbook (or, alternatively, how did you know it was time to stop writing)? RF: I can’t imagine a full-length book of these poems. For one thing, I deliberately kept the subjects limited to a specific cast, to narrow the viewpoint to a particular time and place. I could have found room for Vincent Price or Alfred Hitchcock, for example, and I know both of their work well, but they tell different stories. I could delve into the minor characters, the less well-known movies and monsters, and maybe I will eventually, but many of them don’t have much to say to me. That may be my own failing. The only poem I wish I could have written is one to Zita Johann, who plays the ingénue in The Mummy and is the least ingénue-y of the bunch. She smolders. But I couldn’t figure out what to do for her, what to say, and so that poem hasn’t been written and maybe never will be. I have been very vocal about not including them as a section in a book—I just can’t imagine the shape such a book would take, in the context of another work—but a couple of poets whose advice I respect have been talking to me recently about the ways in which these poems might expand in the presence of other poems, and the ways in which my other poems might also benefit from rubbing up against these, so I could end up including some of them as part of a larger collection. I haven’t made up my mind there yet, but I’m thinking. As I said above, I didn’t have a plan when I started writing, but once I saw I was in the midst of a series, I did think it would become a chapbook one day. I didn’t compose drafts to that end, but as the series wound down, I realized that I should go looking for holes or for places where I might expand or define the scope of the series a bit more, and then I watched all those movies again with that specific goal in mind. A couple of the poems, like “Dear Ingénue,” didn’t arrive until that second, deliberate viewing. I wrote most of the first drafts of these poems over the course of about a month, and then spent ages in revision. Some of them took much longer than others, which is just how these things tend to work, and then I didn’t even put them together into a chapbook for over a year because I got caught up with a different project, which became the chapbook Dear Turquoise and then grew from there. NCL: While the common understanding of ekphrasis is poetry in response to visual art, in a 2008 essay “Notes on Ekphrasis” by Alfred Corn, Corn mentions that poetry in response to “works of music, cinema, or choreography might also qualify as instances of ekphrasis.” Do you consider some of the poems in Creature Feature to be ekphrastic? If so, to what extent is knowledge of a film, character, or actor, necessary in order to “get” the poems? RF: I absolutely think of the majority of the poems as ekphrastic—all the poems that cover characters, certainly, but also aspects of the poems to the actors, many of which make reference to their characters, might also qualify. I don’t think it’s necessary to know the films—even if you’ve never seen them, you likely know the basic idea behind them, and that’s where the importance is for me, is in that grounding in the collective imagination. I’ve had a couple of people tell me the poems sent them looking for information, and that’s great. I’ve had others ask me to watch a movie or two with them, or tell me the chapbook made them watch the movies, and that’s also great. I guess the short answer is that nobody needs to know the films in order to get the poems, but the more you know, the deeper you’ll be able to get. Isn’t that true of everything? NCL: Have you given a public reading of the work? What was the audience response? Did you encounter anything you were not expecting? RF: I just read from the work in July at Classic Lines in Pittsburgh, and it was really well-received. The reception of this chapbook has surprised me—I was surprised to have it accepted in the first place, even—because I know that my love for these films strays into the obsessive and I didn’t know that anybody else would ever care about them or the poems. It’s been gratifying for me to get the responses I’ve had so far, notes from people who understand what I’m doing, or questions from people who want some clarification but whose questions indicate to me that they do in fact get it. That’s an amazing experience. I’ll be reading from it again in October, at Water Street Bookstore in Exeter, NH. NCL: When you write, do you imagine a reader? If so, what type of reader? RF: I have a group of poets with whom I gather every year for a week of poetry and discussion and laughter (and wine), and I’m lucky enough to get to see most of them in between times as well. I often revise with them in mind, with what they have raised as issues in their own work or in mine. When I’m in the composition process, that earliest of stages when a poem hasn’t yet told me what it’s going to be and I’m still just working with the impulse, I sometimes have one specific person in mind as a reader, often as a spoken or unspoken “you” even, but that person can change from poem to poem, and does. Sometimes that person is a specific person I know, but sometimes it’s someone I create out of parts of different people. I’m tempted to put a Frankenstein joke here, but sometimes you need to let readers fill in their own blanks. NCL: What else would you like readers to know about you or your chapbook? RF: I’m way funnier than I seem to be here. WAY funnier. And the chapbook is more tender than I think one might expect from the way I describe it. There’s a lot of love in there, admiration for the actors and their choices (I could watch Boris Karloff all day long, I find him so fascinating), appreciation of these movies as films of importance rather than cheesy horror movies. I am trying, in these poems and maybe in all poems, to find humanity. That brings a little bit of sweetness, and if that accentuates the horror, then I’m just fine with that. NCL: What are you working on now? RF: I think I might be, finally, figuring out a way to get my sense of injustices out into the world. I’m a political person and a feminist. I have deep, solid beliefs about the ways human beings should treat each other, and I have been trying for years to find a path toward opening my poems to more of that without crossing over into lecture or didacticism or rage. There’s a place for all of that in poetry, maybe especially for rage, but I am not comfortable with my poems hanging out there. I want to find a quiet outrage, one that builds and maybe one that resonates by bringing that sort of simmering heat. Angry people are often very, very placid on the surface, and I grew up knowing that sort of anger, and I’d like to see if I can tap that in a way that shows it for what it is. I’m not there yet, but I am working on ways to get it in there without abandoning who I already am as a poet. It’s too new for me yet to know if I have another series on my hands, but I suspect it will color whatever I end up doing next. We’ll see. Nancy Chen Long is a poet and author of the chapbook Clouds as Inkblots for the Warprone (Red Bird Chapbooks, 2013). You'll find her recent and forthcoming work in Alaska Quarterly Review, Pleiades, Bat City Review, DIAGRAM, and elsewhere. Nancy received a BS in Electrical Engineering Technology and an MBA, worked as an electrical engineer, software consultant, and project manager, and more recently earned her MFA. As a volunteer for the local Writers Guild, she coordinates a reading series and works with other poets to offer poetry workshops. She lives in south-central Indiana and works at Indiana University.